Where can you stream Real Girl? On 2018-04-04 Animation TV Series Real Girl first aired on NTV. 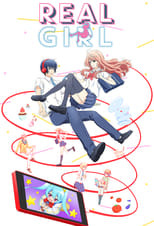 Written and created by Takashi Naoya & Deko Akao, Real Girl will return and was last broadcasted on 2019-03-18.